Whenever Luke is here he loves to use the StumbleUpon tool on my browser. I always forget about it until he reminds me. So on Friday night we were clicking away when this amazing post popped up. Since we decided to have an outdoor wedding, we have debated how to control the mosquito situation. Since the Pumphouse is right on the Rio Grande we figured it will get rather buggy. We decided to include various types of bug wipes and sprays in our bathroom baskets but we wanted something more. However we can’t spray anything since the gardens are a butterfly preserve so the most we could do were citronella candles and torches. For now that had gone on the back burner of my mind but when I saw this post a huge lightbulb went off. 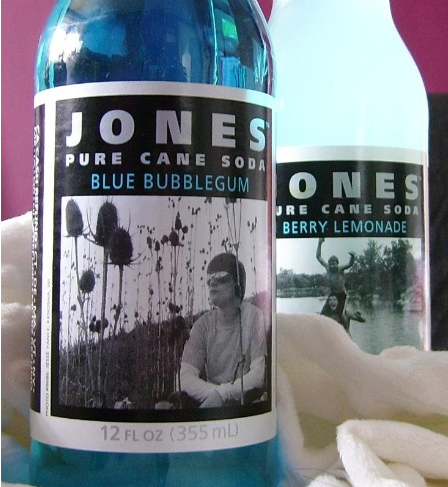 Do you all remember the awesome Jones-esque soda bottles I’m making for the table numbers? Well the bottles we have collected don’t have caps so I won’t be able to fill them with faux soda. 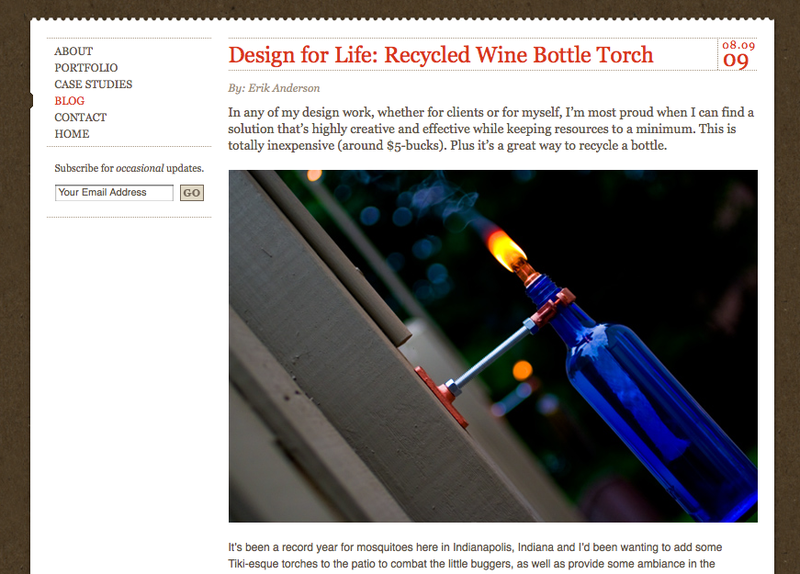 Ergo I wasn’t sure what to put inside the bottles, until I saw these amazing torches of course. 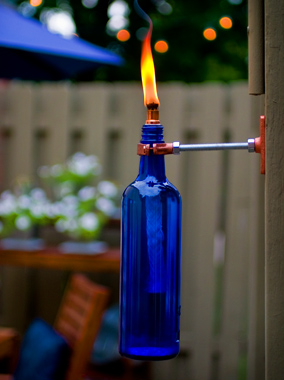 Instead of making the whole hanging harness we just need to assemble the top part to hold the wick and we will have one of these lovely citronella torches at each table. And they will only cost us an extra $2.50 per table. That beats having to incorporate citronella candles into our tablescapes or expensive metal torches on the grounds.